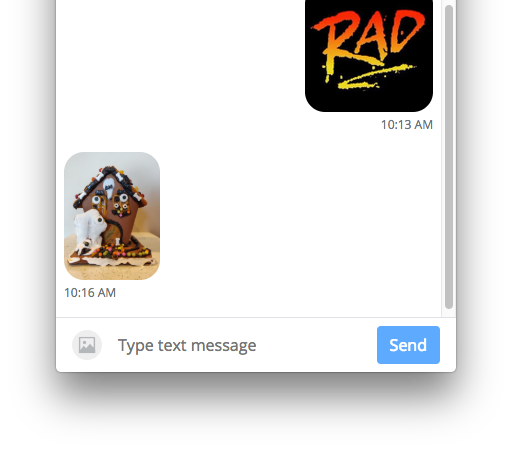 You can send and receive MMS image messages, both on desktop and mobile. 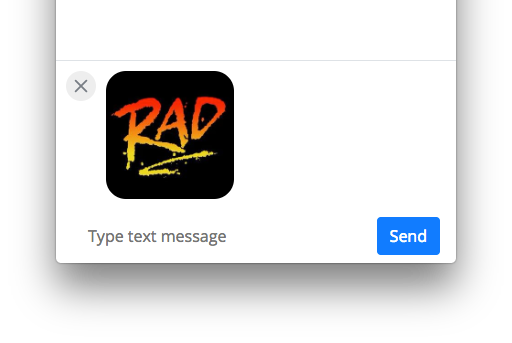 Just click on the image icon next to the text field in the messages section of the web browser or iPhone app. The image will then be ready to send. You can add a message to it as well (just like MMS on your phone). Click or tap "Send", and your image will send. 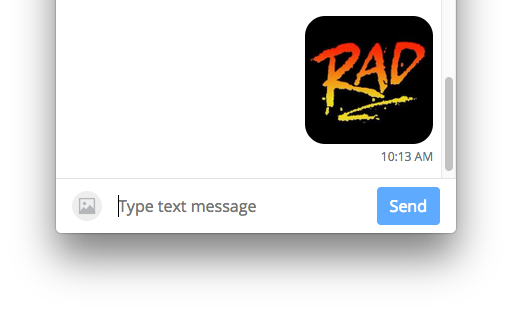 Images received via MMS show up in your message window. You can then tap or click them to see them full-sized, and use your phone or computer's functions to save the photo to gallery, camera roll, desktop, or share it with another app.